The project provides a comprehensive, transnational history of Anglo-American political comic art, which is the basis of today’s global political cartoon genre. 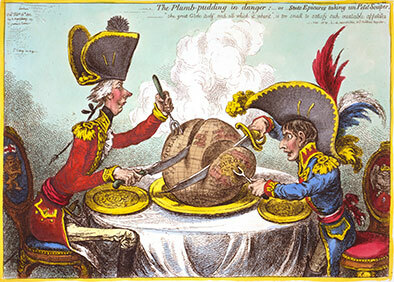 Cartoons and satire are a pivotal form of political art, which are dominated by a narrow focus on national traditions. This research Hub is interested in how we can understand political cartooning as a global phenomenon; how major world events (such as world wars, economic crises, etc.) have inspired a variety of responses from cartoonists of all nations; and what the future holds for political cartooning in the context of the webcomic and the internet meme. Richard maintains a strong connection to several major international scholarly networks, including the French-based EIRIS (Equipe Interdisciplinaire de Recherche sur l'Image Satirique), and the Cartoon Museum in London.